African Nuer Woman, South Sudan. Home » African Nuer Woman, South Sudan. 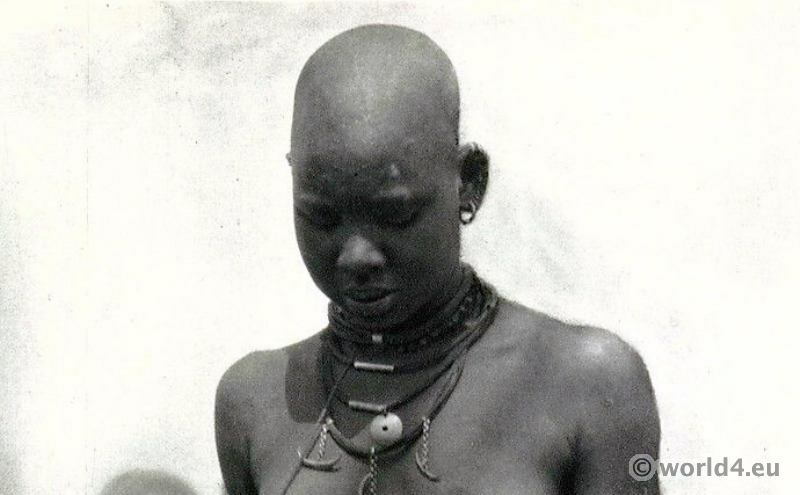 African Nuer Woman, South Sudan 1930s. The Nuer, proper name Naath or Nei Ti Naath (“people”) are an African ethnic group in South Sudan and western Ethiopia, where especially in the Gambela Region. They are traditionally cattle farmers. This entry was posted in 20th Century, 30s, Africa, Sudan and tagged Traditional African dress on 1/7/15 by world4.